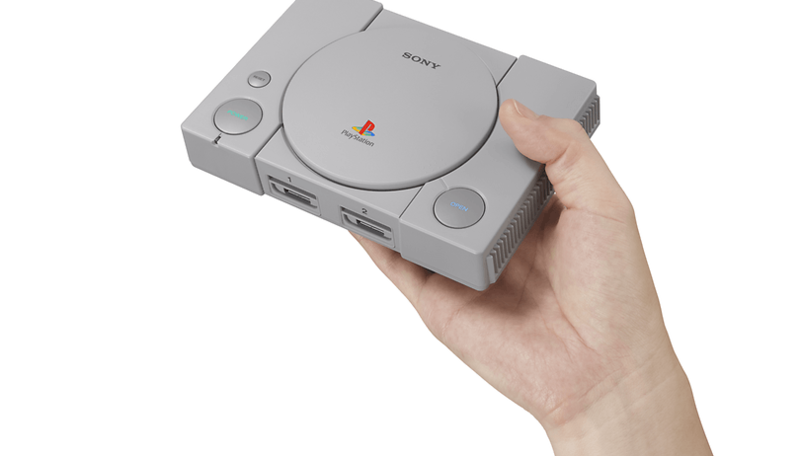 Sony is now in the lucrative tiny retro-console game with the PlayStation Classic. The compact classic console of yesteryear will come pre-loaded with 20 games to enjoy, but only 5 have been confirmed so far. We asked you which games you want to see on the PlayStation classic, and the results are in! Poll: what games do you want to see on the new PlayStation Classic? Tekken 3 apparently isn't quite enough fisticuffs for PlayStation fans it seems, with Street Fighter Alpha 3 taking over a third of the vote at 36%. This 2D fighter is a solid entry in the crowded Street Fighter lineup, with a huge roster of classic characters and a more complex level of tactical play than the landmark Street Fighter 2. It was a close finish in this race, with Gran Turismo 2 just edging over the finish line with 28% of the vote. The popular racing series made its mark due to realism, both in the car models and driving controls, even if every fan could point out a car that they thought was unfairly treated. A pioneering hybrid of platformer and RPG, Castlevania: SoTN was instrumental in establishing the formula for the popular Metroidvania-type game nowadays. A complex plot, compelling protagonist and various innovations such as free exploration and meaningful backtracking through the levels all help this vampy romp become one of the 'killer apps' of the original PlayStation and win 37% of the vote in our poll. The second installment of the zombie infestation series is one of the best-selling Capcom games of all time and remains a beloved classic. We're certainly looking forward to seeing the remake in action! Nonetheless, the original version would be a thrill to have on the PlayStation Classic, and 48% of voters agree! What do you get to beat a blue hedgehog? Why, an orange...bandicoot of course! As unlikely as it seems, this manic marsupial crashed right into at least 32% of our hearts, busting through many obstacles and enemies on his way to thwart the sinister Dr. Neo Cortex. Crash certainly wasn't the easiest platformer, but you may remember how the humorous death animations helped ease the pain of failure. Was there ever a doubt? My high school years were dominated by chatter about Tony Hawk's Pro Skater 2 above all else, and it was a ubiquitous presence at teenage house parties. Amazingly, we somehow managed to fit in some actual skating in between the hours frittered away on this game, and 70% of the vote proves that Tony Hawk's Pro Skater 2 still holds a special place in the hearts of many. Runner-up: FIFA: Road to World Cup 98 and Everybody’s Golf 2 tied at a measly 9%. Even with these 6 games and the confirmed 5, that still leaves 9 places to go! What other games do you think should round out the top 20? "Driver" was better in driving games.